In the example below, Sotheby’s has a beautiful digital ad campaign that promotes different destinations. The imagery is striking (another must-have for successful digital advertising), the text is readable, and it’s ultimately a clean design. However, there is no real CTA. As a user, I could of course click on the ad and be directed to their site, but there is no real incentive to do so and no real button showing me what step to take next. Simply adding a CTA button to this ad would likely improve the performance of these campaigns and result in higher conversions. 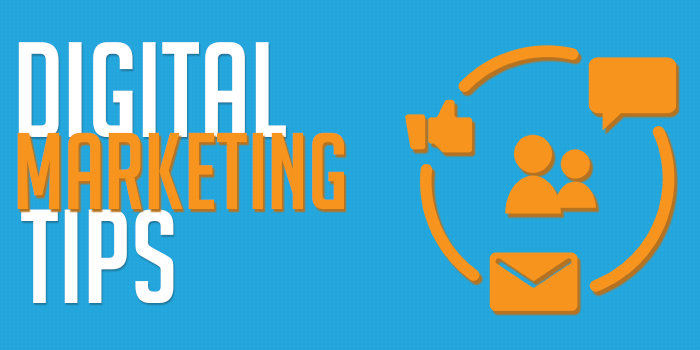 You lose the attention of most digital users in just a few seconds. That limited period of time is all that you have to capture interest. Stick to messaging that evokes emotion or encourages users to click through the ad, and keep it to just a short phrase. For many brands, this means highlighting their value proposition, showcasing their core values, or defining an incentive for the user. In the example above, Biotherm incentivizes the experience for the potential customer. Their core message “Enjoy Free Shipping + 25% Off All Orders” captures the user’s attention and for someone already interested in their products, it’s likely to be that last added touch to convert. For all brands, this is an incredibly well done ad to take notes from. If you’re running a retargeting campaign where the user has already visited your site, for example, this type of incentivization could not only help you stay top of mind as the potential customer navigates other sites, but can serve as the final touchpoint before the user finally makes the purchase. If you’re an athletics brand and you’re advertising women’s running shoes in an AdWords campaign, sending users to your women’s running shoes page will help facilitate the conversion process. The more relevant the page is that you drive clicks to, the greater likelihood that the user will follow though and convert. After all, your advertisement has captured that user’s attention enough that they clicked on the ad, so the likelihood is they want more information pertaining to that specific subject – not general information you’d find about your brand and entire line of athletic attire on your homepage. Sending users to your homepage instead of a designated landing page that is correlated to the particular campaign can be a costly mistake. Users generally won’t search your site for the item they’re looking for. As a brand, bringing the potential customer as close as possible to their unique needs and the point of conversion is not only the best approach, but also the best user experience. Using high-quality imagery that is telling as to what the ad promotes is one of the most important features for all successful digital advertising campaigns. Failure to use imagery that is captivating or visually appealing doesn’t help capture the user’s attention. In the example below, Waldorf Astoria uses beautiful photos of their resorts to advertise to a targeted set of users. Not only does this stand out as the user scrolls through the page, it truly sparks interest. Sometimes, seemingly arbitrary factors like time of day, language choice, audience segment, or image selection can really play a role in the success of your campaigns. For that reason, it’s critical that you pay attention to these factors and monitor which campaigns have which varying elements. If you’re finding success with one campaign, or finding an alternate campaign to be less effective, don’t be afraid to change it. A/B testing with digital ads, where you test ads with varying content, can be incredibly valuable when determining which messaging or content resonates best with your audience-and often for reasons you can’t foresee. Also, testing your ads before you implement them is critical. More times than I’d like, I’ve seen brands with fantastic ads pointing to the wrong pages, 404 pages, or with messaging targeted to an audience that I’m mistakenly segmented in. Take the time to make sure your ads appear as they should and direct users to the right pages. When little mistakes like this happen, not only have you wasted the resources spent for this particular campaign, you’ve also adversely impacted the user-experience. This extra moment of testing can save your company a lot of money in the long run. To learn more about digital advertising and how to implement simple fixes that drive results, visit Bhavya Web Technologies main website.